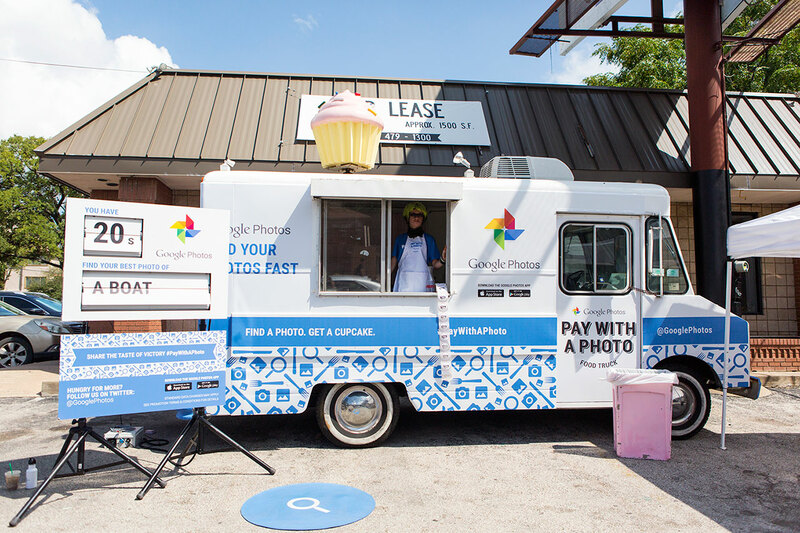 Google recently promoted its new photo app by setting up a food truck in Austin that gave away free cupcakes. That was cool. Then a giant cardboard Zappos box set up shop across the street. And things got a lot more interesting. Yes, the Zappos box asked people to insert the cupcakes they'd gotten from the Google truck, and then dispensed something better. And these free gifts weren't crappy ones either. People got watches and gift cards out of that thing. The video cheekily concludes with, "Thanks for the cupcakes, giant tech company." Cool idea from Mullen Lowe, and brassy for a company with such a twee brand identity. Google was pretty chill about Zappos' claim-jumping—one member of the team even ran up to take part—but are we the only ones a little disappointed? Even if it was staged, a bit of Sharks/Jets public acrimony would have been way more fun.